People with vision problems may find eyeglasses inconvenient to wear all the time. Thanks to contact lenses, it is possible to correct eye problems without the hassle of wearing eyeglasses every day. But before you consider contacts over eyeglasses, know first how much contacts will cost you. Find out price estimates of contact lenses here. The cost of contact lenses vary depending on the kind of contacts you choose. 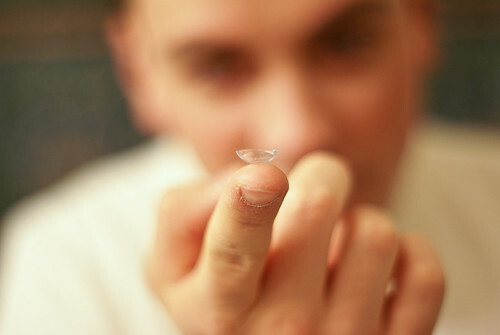 Disposable contact lenses cost $170 to $400 per year. Non-disposable contacts cost $150 to $375 per year. The prices include a supply of contact lenses for a whole year. Each lens is in a vial with saline solution for preservation purposes. In cases when you purchase through a clinic, the eye exam is included in the pricing already. Disposable or non-disposable. Disposable contacts are cheaper per pair as compared to non-disposable contacts. Disposable contacts are those lenses that must be changed daily, weekly, or monthly. Though the cost per pair is usually lower, if you calculate how much it will cost you to use these kinds of contact per year, the price will definitely go higher. On the other hand, non-disposable contacts can be used up to a year. Conventional soft contact lenses cost around $100 per lens, rigid gas permeable lenses cost $50 to $150 per lens, and hybrid RGP/soft lenses cost $150 to $250 per lens. Even though they are more expensive per pair, you just need to buy a pair for a year. Hence, the cost of wearing non-disposable contacts can be lower. Type. Besides regular contact lenses, there are special contact lenses that can be pricier as compared to them. This is true for contacts that are colored, used for astigmatism or presbyopia, have special effects, and those custom-made. For example, annual contact lens cost for astigmatism contacts is $500 to $700. Insurance. Some medical insurance covers part of the cost of contact lenses. If you have insurance coverage, expect to pay $25 to $120 only per year for your contact lenses. Clinic/Store. Contact lenses can be easily purchased these days, even in regular stores. Purchasing contacts in stores will be usually cheaper as compared to buying them from a clinic. In fact, contact lenses for sale online turn out to be the cheapest lenses available these days. Brand. The brand of contacts you choose will also affect prices here. Popular and reputable brands usually price their contacts higher. If an eye exam is not included in the package, expect to pay extra for it. Evaluation of your eyes and prescription of right contact lenses are often required to ensure appropriate purchase of contact lenses. An eye exam may cost around $100 but if you have insurance coverage, you may just spend $10 to $30. Contact lens care solutions are necessary to clean and disinfect contacts after each use. You can spend around $150 to $200 for an annual supply of contact care solutions. Contact lens fitting is necessary for first-time contact lens wearers. Fitting helps determine whether the contacts are accurate to the prescription and you are educated on properly wearing and caring for them. Contact lens fitting can cost from $25 to $200. Always consult an eye doctor prior to wearing contact lenses, especially if you are doing it because you have certain eye problems. The evaluation and prescription of a professional is very important to ensure that you wear lenses that are accurate and safe for you. There are a lot of kinds of contact lenses. Choose one that is best for your needs and your budget. Your doctor will guide you into choosing the best type of contact lenses to wear for your condition. Buy contact lenses from trusted suppliers and manufacturers. Since you will be putting contacts directly onto your eyes, you must make sure that what you get is reliable, efficient, and safe contacts to give you relief instead of problems. There are a lot of online stores offering contact lenses for less the price. Before making a purchase, find a contact lens that has FDA approval.